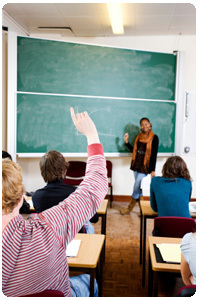 (leading to ExpertRating French Conversational Skills Certification). This course will teach you how to communicate easily and comfortably with those who speak French. 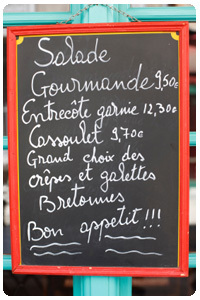 You’ll learn practical, common phrases that will make your trip to the many French-speaking regions of the world more pleasant. You'll learn dialogue specific to various settings, and you'll be surprised how easy it can be to speak another language! This course includes a knowledgeable and caring instructor who will guide you through your lessons, facilitate discussions, and answer your questions. The instructor for this course will be Amy Page. About the ExpertRating Online French Course instructor : Amy Page has been a translator and technical writer since the early '90s. She has a Bachelor's Degree in French, and she is one of a handful people in the United States who completed a special Translation minor. Amy has written and copy edited for large companies, and she enjoys translating for a variety of customers. French Course requirements: For taking this instructor led ExpertRating Online French Course you need Internet access, e-mail, and the Microsoft Internet Explorer or Mozilla Firefox Web browser, and a computer equipped with working speakers or headphones. "Amy is an amazing and understanding instructor. It was great to feel that no question was a stupid one in this class. I would recommend it to anyone who has ever considered learning the language!" "A very good course. Amy was very helpful in answering questions and made the course fun to do. I really liked the format of a trip to France. Thank you!" 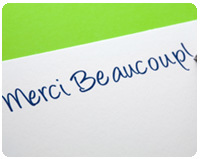 "I enjoyed taking this French conversational course and I would highly recommend it to anyone. It covered all the important basics and more! Ce cours de francais est excellent!" "I feel empowered to speak my level of French on my trip to France this year, despite 35 years passing since my high school French classes, and all because of these wonderful lessons, discussions, and links! Thank you." "I had mixed feelings about the course at the beginning because I felt it was a lot of material at one time, but then I came to appreciate all of the information that was given to me. I never thought I would learn so much French in so little time. Amy has a great sense of humor. I like her teaching style. She responded to the discussion area with "lightning speed". I knew I would not have to wait long for a response. I really felt like she was giving me a one-on-one. She did a terrific job. Chouette!" ExpertRating is one of the world's only ISO 9001:2015 Certified companies (from TUV America) offering an Online French Course (leading to ExpertRating French Skills Certification). When you choose the ExpertRating Online French Course you can be sure that you are buying a premium International certification that is recognized by hundreds of employers and Government bodies in the US and other countries. With ExpertRating you get certified quickly online and you are equipped with a store house of information through the in-depth ExpertRating Online French Courseware which has been developed by experienced International Language Experts. 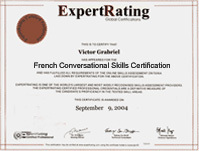 The ExpertRating French Conversational Skills Certification is by far the best value for money instructor led French Certification at $129.99. How much does the French Certification cost and what does it include? You can buy this ExpertRating Online French Course leading to French certification at a special offer price of only $129.99 which includes the in-depthExpertRating Online French Courseware and exam fee. This is the best value for money French Program available till date. You get the following services within the USD $129.99 fee. In-depth ExpertRating Online French Courseware including scenarios and case studies. World wide airmail delivery of the hard copy French Certificate. The French Certificate can be used to prove your certified status and does not mention the words "online". The process of getting yourself certified is very simple. All you have to do is buy the ExpertRating Online French Course for $129.99. Log in to the instructor led course using your password. Go through the ExpertRating Online French Courseware (which would take you 6 weeks) and complete the final French Certification exam at your convenience. You can complete the exam within 2 months of buying the French Certification. The result of the exam appears as soon as it is completed, and your French Certificate is mailed immediately. Chapter assignments to help you practically use the French that you will learn during the French Course. The final exam is fully based upon the ExpertRating Online French Courseware that is provided along with the French Certification. If you have gone through the courseware properly you should not have a problem clearing the exam. The exam consists of multiple choice questions from all chapters of the ExpertRating Online French Courseware. French is today spoken around the world by 65 to 80 million people as a native language, and by about 190 to 200 million people as a second or third language. French is an official language of twenty nine countries and of the United Nations agencies and of a number of international organizations. By learning French through this French Conversational course you will be able to read newspapers, articles, understand signs on the roads and be well versed with the language. The French course will be interactive and at the same time serve the purpose of being a fun filled activity. Learning French can be useful for individuals; for your business, for corporate and for public sector needs. 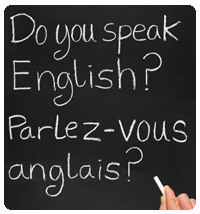 At the same time it can be an enjoyable activity if you are keen to learn a foreign language. The ExpertRating Conversational French Certification will make you familiar with the French language and teach you the correct pronunciation with phonetic spellings.